Please don't cut the air. Please keep it clean after using,can lubricated if necessary. Please be careful with the scissors,don't drop from high level,this will destroy marginal adaptation of the scissors. 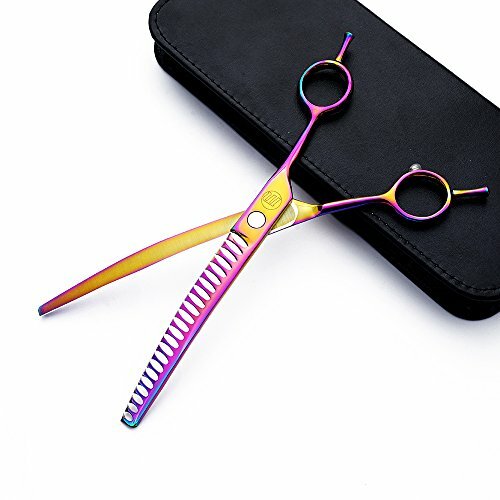 Don't use them to cut metal objects.The scissors can only be used for hair trimming, otherwise it will shorten the life of using. PURE HANDMADE:Delicate screw and silencer design,these detail designs show the high-end quality of scissor. The scissor blade is very sharp and smooth with the best cutting Angle of 45 degrees. If you have any questions about this product by Moontay, contact us by completing and submitting the form below. If you are looking for a specif part number, please include it with your message.